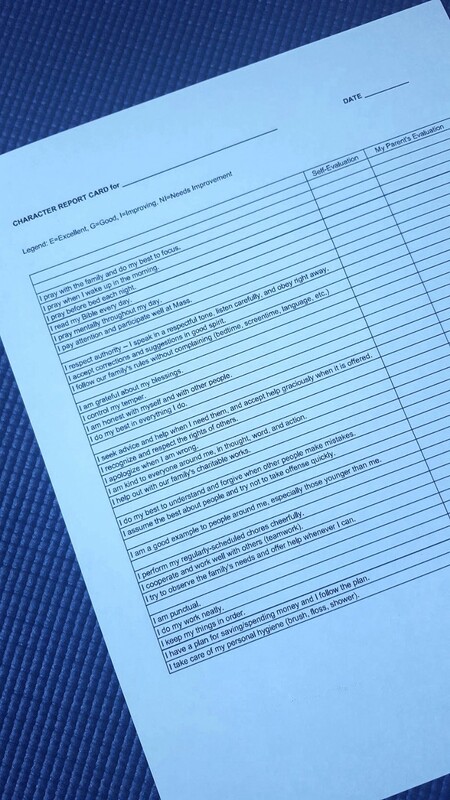 We’ve been using this character report card sporadically for a while now. We updated it recently so we can use it with the 9-year-old who needs this kind of guidance and self-monitoring at this time. So I thought I’d share with other homeschoolers who might be able to use it in their homeschool. You can print/download from the link below, or copy and modify as you wish. We try to fill it out at least 4 times a year.